Will 2018 be the year Chrome OS devices emerge as mainstream computers in the corporate world? Not a chance. Microsoft Windows is predicted to represent 85% of worldwide PC shipments next year, with macOS at 8% and Chrome at 6%, according to IDC. But consider this: In 2017, 5.5% of all PCs sold will be Chrome OS devices, according to IDC analyst Linn Huang. This marks the first time a third operating system has joined Windows and macOS in crossing the 5% threshold in PC shipments since IDC started tracking that data in 1995. Here are eight other facts you should know when considering Chrome devices for your workforce. There’s a growing selection of Chrome devices available across a broad range of styles, including convertible tablets/laptops, touchscreen and non-touchscreen devices, laptops and desktops, models geared for businesses and others aimed at consumers, and devices designed for meetings. Some Chromebooks come with a stylus; some will run Android OS apps in addition to Chrome. 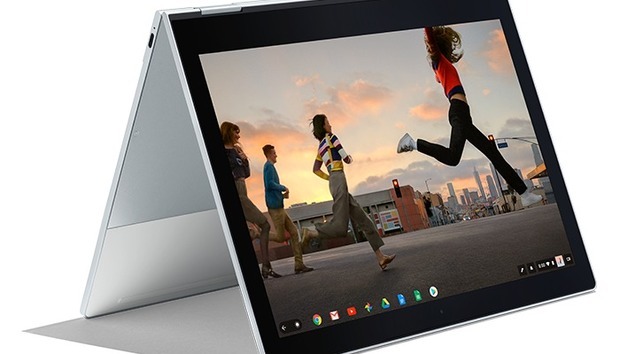 Chromebooks range in price from the $179 Lenovo N23 Chromebook to Google’s sleek Pixelbook ($1,000 and up). Google’s website is the best place to browse the offerings. Also, Neverware’s CloudReady lets you convert old Windows and macOS computers into Chrome OS-based thin clients. An Enterprise Edition ($99/per device/per year) provides additional device management features. Google’s Chrome management console lets IT admins manage an enterprise’s Chrome devices. In August, Google announced Chrome Enterprise, a new service that offers a variety of features, such as support for single sign-on and managed OS updates. Third-party services are also available to ease IT management of Chrome devices. VMware’s Workspace ONE Unified Endpoint Management, for example, offers “enterprise-grade management” of Chrome OS devices and other endpoints such as Macs, Windows PCs and mobile devices running Android, iOS or Windows 10 — while also enabling enterprise applications on Chrome devices. As more businesses move applications to the cloud, there’s less need to provide their workforces powerful desktop computers, making low-cost, thin-client devices based on Chrome more compelling, said David Dingwall, vice president of marketing at Fox Technologies, a global security company. With many cloud services now offering stronger security via multifactor authentication, “why invest in all that infrastructure if you don’t have to?” Dingwall wondered. Indeed, Gartner predicts that the global public cloud services market will grow 18% this year, and that through 2020, cloud adoption will influence more than 50% of IT outsourcing deals. Chrome devices have attracted some high-profile businesses, too, such as Netflix, Pinterest and the Better Business Bureau. For example, Netflix uses Chrome OS devices for its cloud-based call center. “We know of several large deployments of Chrome that are displacing thin-client computers in different verticals,” said Huang, though he couldn’t disclose the companies by name. For a time, Linux OS computers were expected to become the dominant third player in the PC market, Huang said. For example, many thought Linux would be the ideal OS for netbooks, which peaked in popularity in the late 2000s/early 2010s. But Microsoft captured that market by “bottom-ending” Windows to run on the low-powered portables. There’s still talk that Linux could emerge as the dominant OS for thin clients. But IDC’s data doesn’t support that belief. Linux comprised a 3% share of global PC shipments in 2013, but it’s held steady at a mere 1% since 2015 and is expected to stay at 1% through 2021. By comparison, Chrome OS has risen from 1% of the market in 2013 to its current position of 5.5% in 2017, and IDC expects it to reach 8% by 2021. Chromebooks are popular among schools because the devices are rugged, inexpensive and easy to manage, and Google’s applications — no surprise — run well on Chrome devices. The upshot: In 2016, Chromebooks accounted for 58% of mobile PC shipments to the U.S. K-12 education market, according to Futuresource, up from 50% in 2015. By comparison, in 2016, 22% of mobile PCs in U.S. classrooms were Windows-based and 5% were Macs. Consequently, more students today enter the workforce “with years of Chrome experience” and that can give Chrome devices a leg up on other platforms at businesses, said Dingwall. Preparedness Solutions runs an emergency operations center (EOC) at Northern Arizona University. EOC employees there have been equipped with over two dozen Chrome OS devices, said Marc Burdiss, who owns Preparedness Solutions and serves as director of the university’s Office of Emergency Management. As a result, the EOC switched to Google Apps and Chrome OS, though it maintains a BYOD policy. “In an emergency, having common bookmarks with stored passwords and login credentials helps overcome the paralysis of stress, and the ability to craft a shared document from different locations is invaluable,” Burdiss said. For example, talking points for hotline workers during an emergency could be collaboratively written between various departments, with the talking points becoming available in real time in a Google Doc. Any computer can run Google Docs, of course. But the instant-on capabilities of Chrome OS devices coupled with their low cost make them highly desirable for emergency operations. There have been efforts in the past to build a smartphone designed to act as a desktop computer when plugged into the appropriate accessories. HP tried with its Elite Windows 10 smartphone. Motorola gave it a shot with its Atrix Android smartphone. And 10 years ago, Palm announced Foleo, which never made it to market. “We’ve tried multiple times to make this happen,” Huang said. But as more businesses migrate their infrastructures to the cloud, Chrome could possibly be the OS to drive a smartphone that, when connected to peripherals, becomes a versatile, thin-client desktop or laptop. Though you can do some offline work on Chrome OS, the devices are geared for users with consistent internet connectivity. And that fact alone makes them unsuitable for some workers. Speaking of Photoshop, Chrome OS devices aren’t suitable for users with heavy image and video editing needs or other specialized applications.